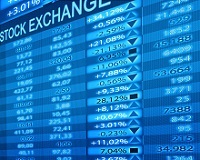 Healy Consultants provides clients with a range of Stock Exchange listing services, including assistance with initial public offerings (IPOs). We guide you throughout the regulatory hurdles of an IPO process, from the pre-IPO stage to the final IPO placement in the primary market. Guidance to appoint reputable public relations firm to maintain investor relations after going public. Click here to learn more about listing in Singapore Stock Exchange (SGX).